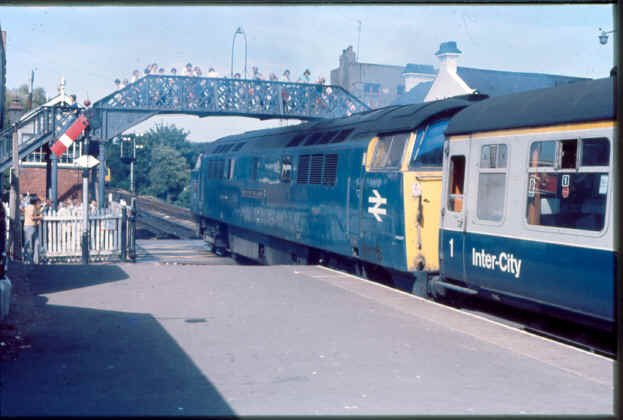 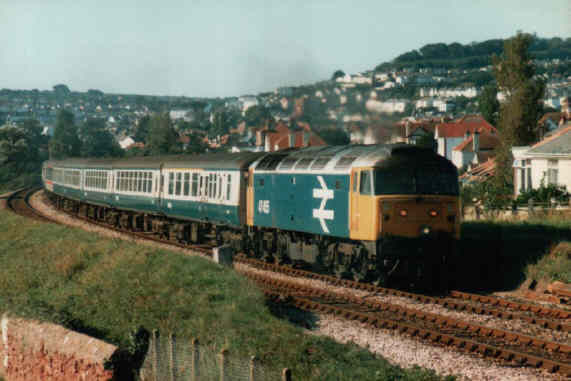 Into the Rail Blue era with D1068 Western Reliance which is seen leaving Paignton with a train to Newton Abbot in 1976 in this photo by Steve Marshall. 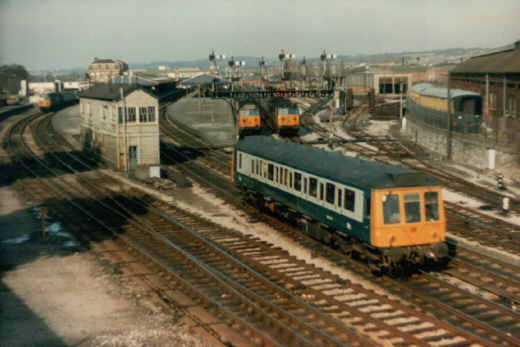 Still semaphore signals, the old footbridge between the signal box and the crossing which still had gates. 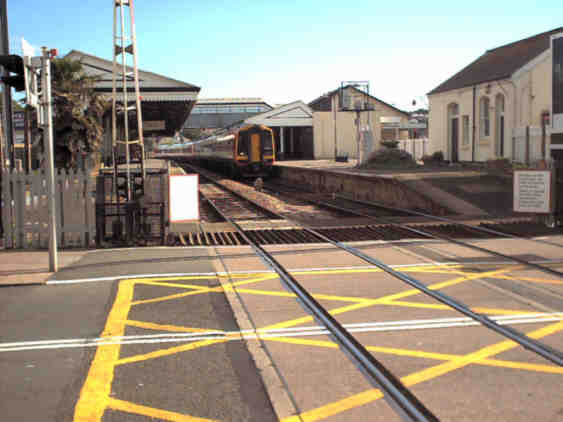 A ground level view of a pair of Class 159 units in 2002. the gap in the station buildings is evident. 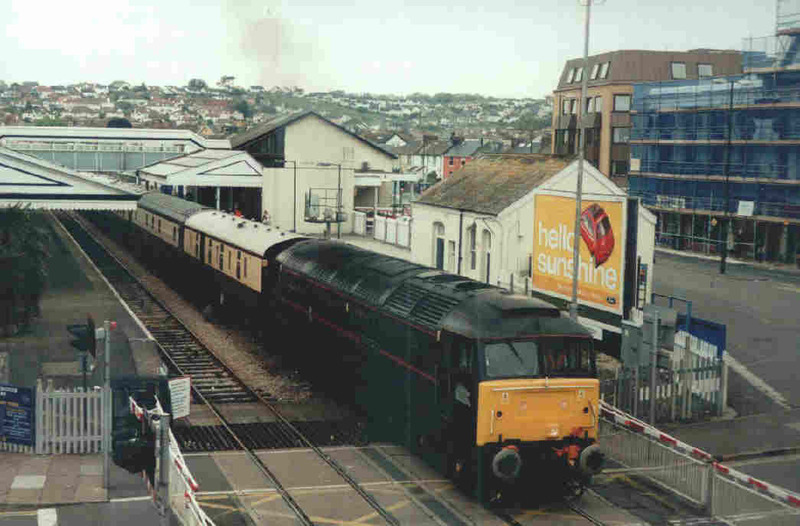 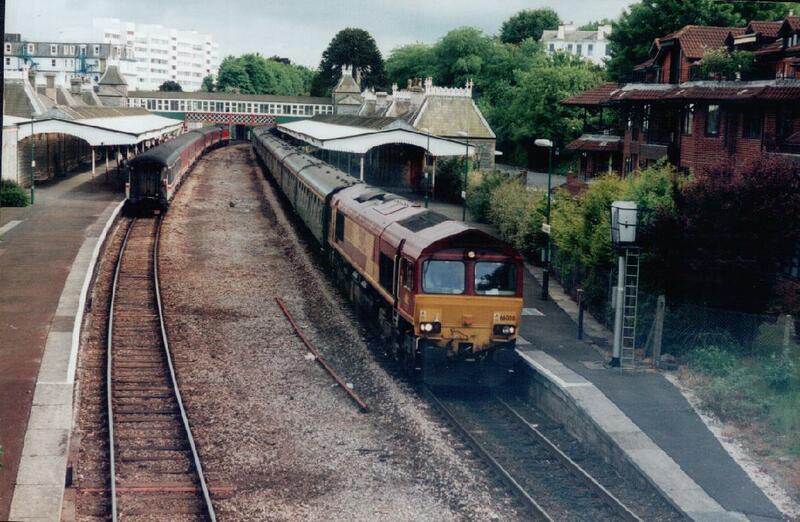 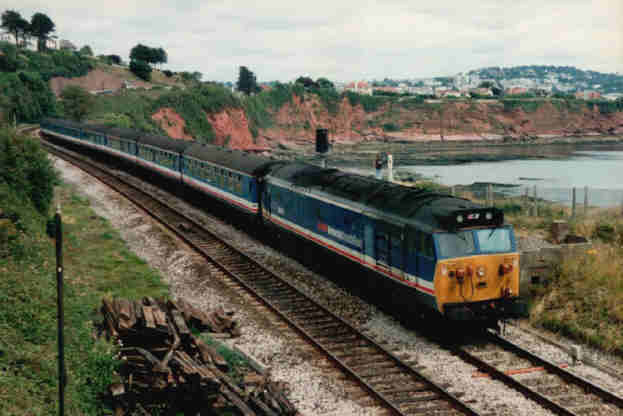 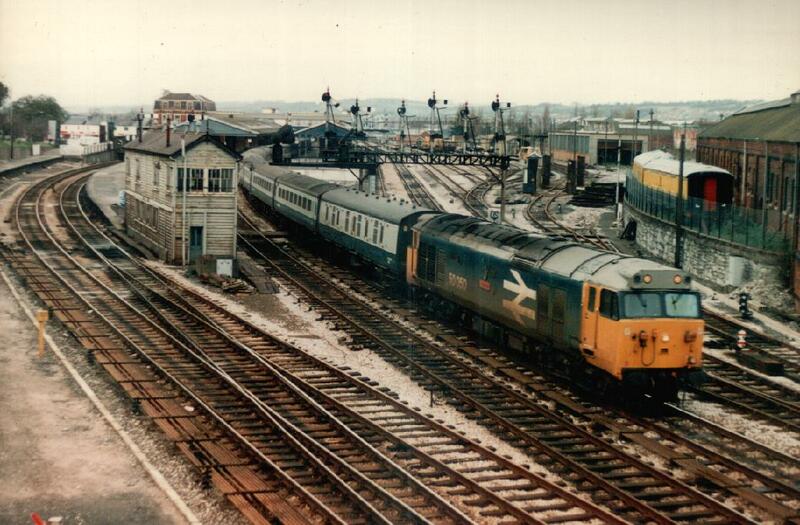 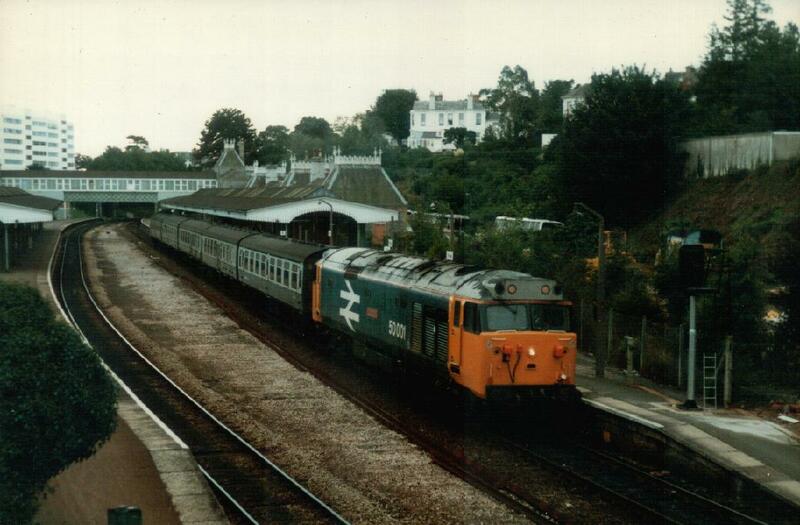 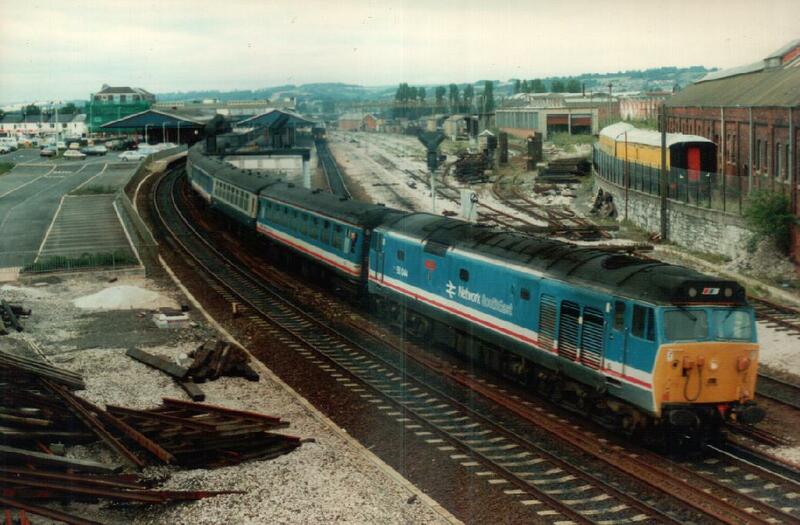 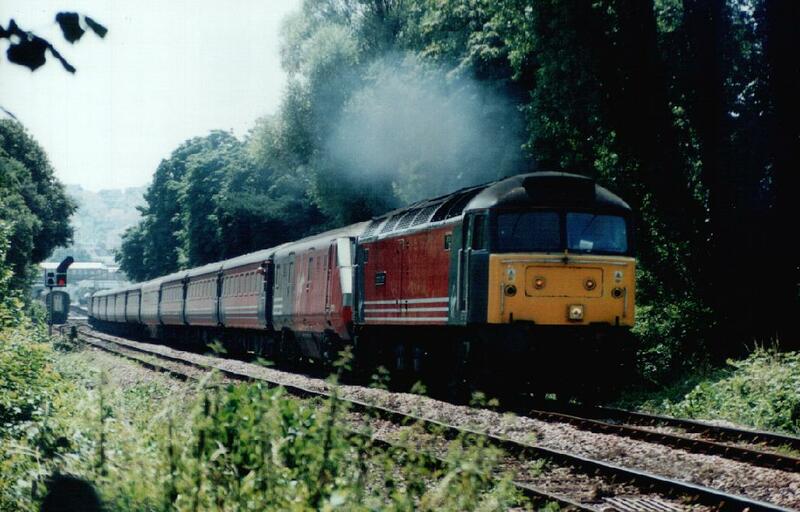 The sidings south of Paignton at Goodrington were the scene of the start of the last First Great Western daytime loco hauled service with 47734 and 47703 in this photo by Steve Marshall There are some much older photos of Goodrington Yard on Early diesels at Paignton. 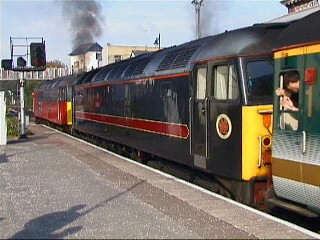 Another nearby photo from Ade is this one of 50003 on another up train. 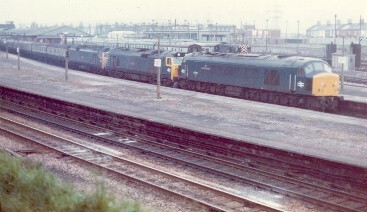 This photo by Steve Marshall shows three locos on the down sleepers. 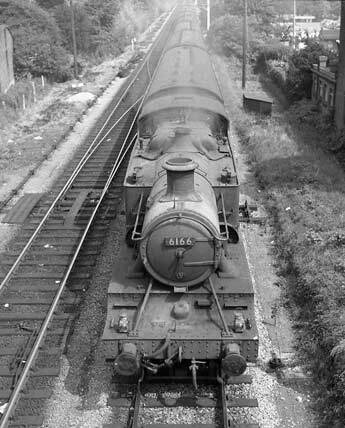 Due to problems with the train engine, 50009, another 50, 50027 had been added, however doubts remained and 45055 was also added. 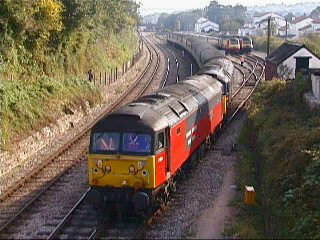 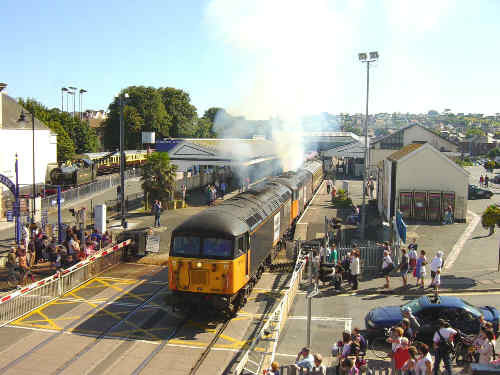 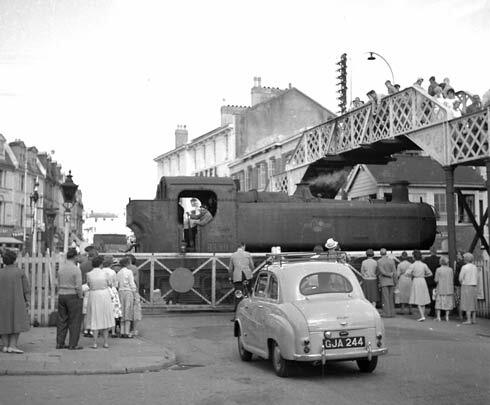 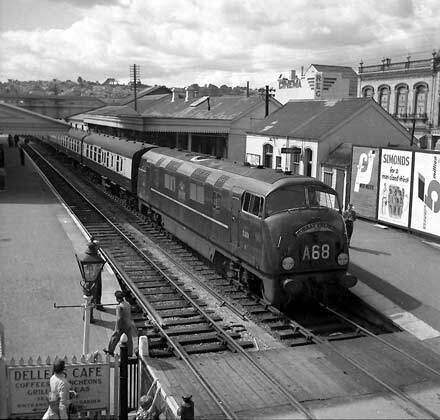 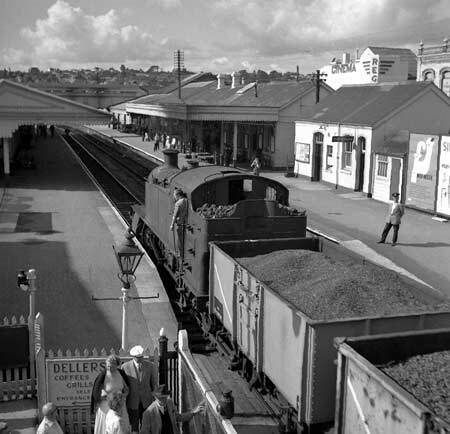 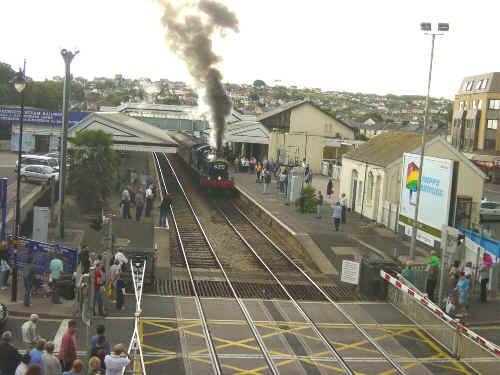 A single car DMU, or Bubblecar, leaving Newton Abbot. 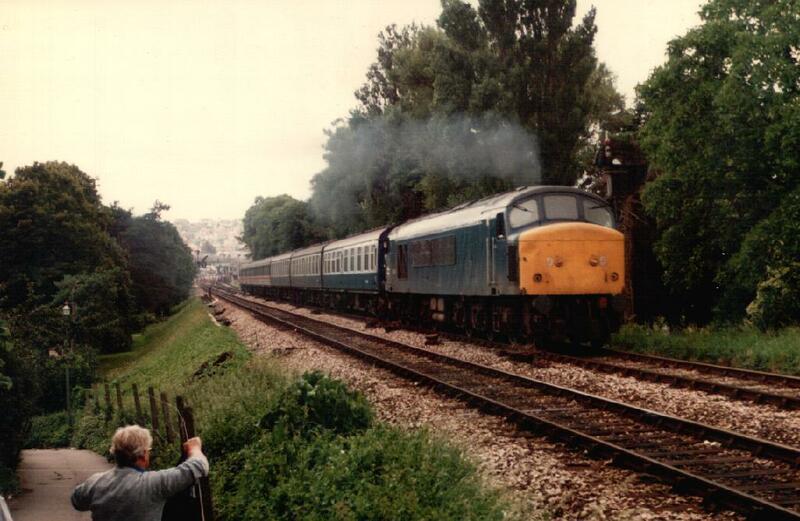 No less than 3 Class 50's can also be seen in this photo by Ade. 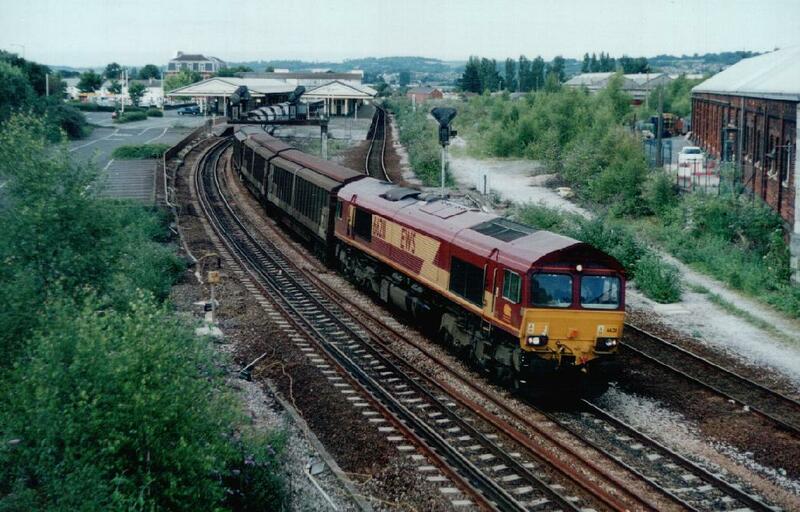 A last photo sees 66211 heading down with a freight, rationalisation complete much of the area has become an overgrown wasteland. 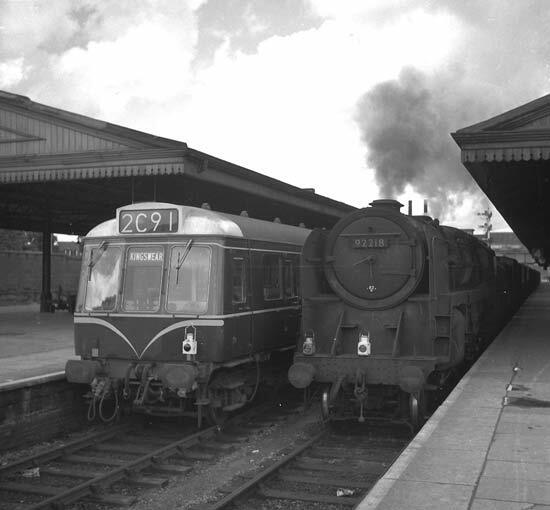 The 2 ex LNER coaches have gone from outside the former wagon works, latterly David and Charles' headquarters. 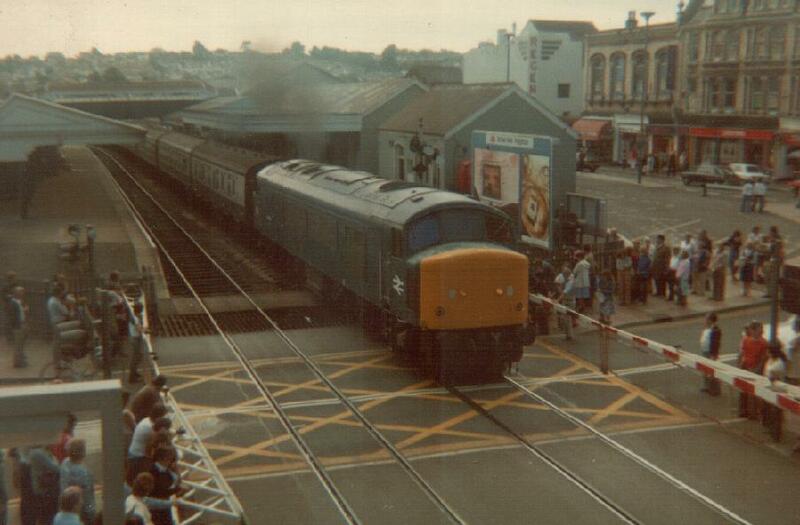 I wonder what happened to them ? 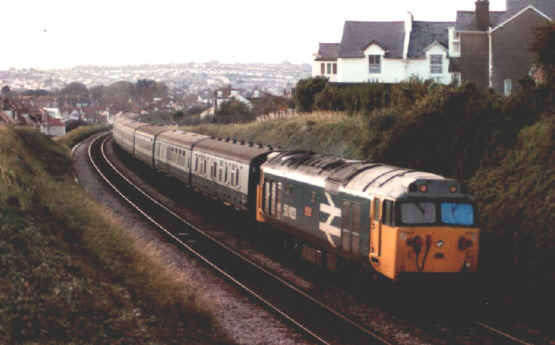 Photo by Ade from Torquay Thanks to Adrian for most of the photos on this page, his site has many more photos of the railway in Devon and Cornwall.